The two-hour season finale of AOS aired this past Tuesday, and THERE IS SO MUCH TO TALK ABOUT. ★ The finale was super well-written. The emotional scenes hit all the right notes. The pacing and the stakes were more than nervewracking. Since AOS and I have had a tumultuous relationship lately, I wasn't sure if the season finale would hit all the right notes for me. It did. I was worried, I laughed, I cried. ★ The humor. AOS always has funny moments, but in the finale, they were particularly on point. Some of the best lines came from Dr. Radcliffe, whom I've come to know and love in the span of two episodes. I look forward to seeing him next season--he's like Fitzsimmons 2.0 but more aged, like a fine wine. ★ Can we talk about that end scene with LMD technology and AIDA?! In case you're confused as to what this means for the series, this article may help clear things up. I'm honestly thrilled because the LMD technology could mean bringing back some fallen agents, including two in particular. I'll write more on that next week. ★ Jemma's brilliance was awesome. Actually, everyone was at their best in these two episodes. It really gave a chance for the S.H.I.E.L.D. team to come together and shine like they haven't in a while. ★ This episode had a bit of a horror and Walking Dead vibe, especially when the Primitives invaded the base. For some reason, I really enjoyed that. ★ Motion-capture Fitz. This is something I didn't know I needed in my life. ★ "Help me, Obi-Wan Kenobi, you're my only hope." 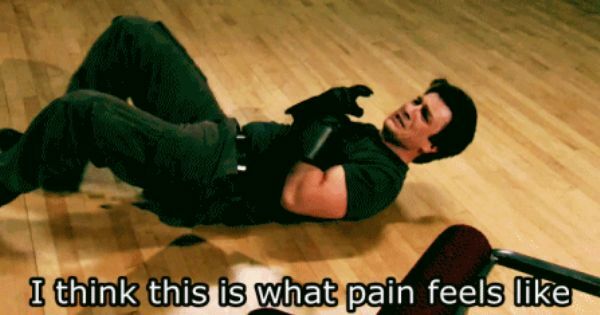 ★ When Mack comforted Daisy. They are one of my favorite relationships on this show, so seeing them hug each other like that just hurt me so badly. Remember when they first met? Good times. ★ Daisy and Lincoln's final scene together. These actors deserve an award because, despite the fact that I never really shipped them, I was still bawling. It was heartbreaking and beautiful. 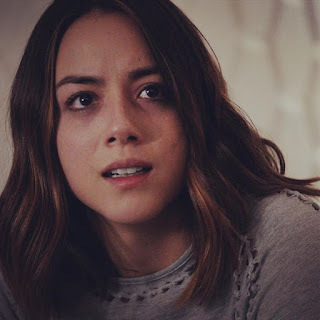 ★ Chloe Bennet's acting in particular broke my heart. Daisy Johnson, though we've had a weird relationship this season, has been through too much. Seeing her even more broken broke me. Protect her. ★ This episode had alllll the feels. Be still my heart. Mack: "If May were here..."
Coulson: "She'd give me a very dirty look, yeah." This is one of AOS's best season finales. It made me feel things, it contained intrigue, and it reignited my love for the show. I honestly can't wait for next season. Stay tuned in the coming weeks as I discuss season 3 as a whole, as well as make my theories and predictions for next season! What did you think of the season finale? Was your heart as broken as mine was? What are you looking forward to in season 4?